I’m busy playing through the remaster (of the remake) of Resident Evil. As much as I’m enjoying it, it just doesn’t feel right. It’s got a strange, modern control scheme that’s rather discordant with the feel of the game to go along with its shiny, polished, and high definition veneer. That’s not the problem though – you can easily switch to the original, lumbering tank-like controls and play the game with rose-tinted glasses. Still, something is off – and I’ve realised that it’s the voice acting. 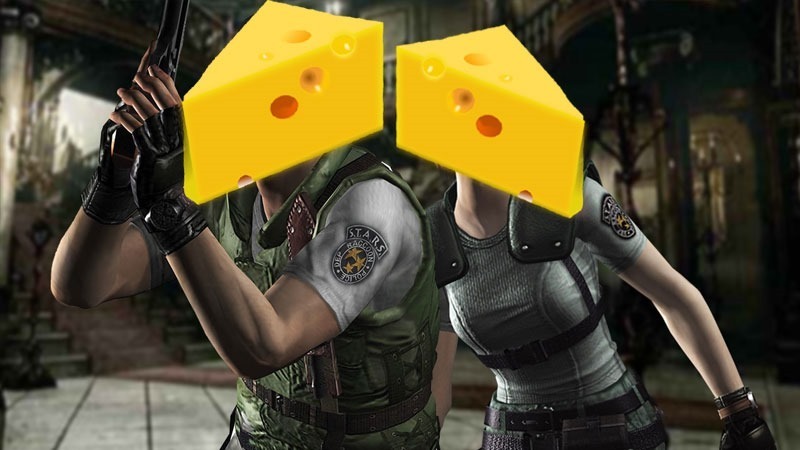 While it’s not particularly good, it’s still too damned good to be Resident Evil. The original, terrible, cheesy dialogue has largely been replaced with better writing, better voice acting and an actual semblance of regard for pacing and tone. And…It just feels wrong. It feels wrong that Barry didn’t call me, Jill, the master of lockpicking unlocking. PC modder Flour Bunny agrees, and is working to put the cheesy, stilted and frankly god-awful voice-overs from the original game in to the new remaster. He’s got 5 rooms done so far. It’ll never work out though – there are new scenes and the lip-synching will never match up, but it’s an admirable goal, and in practice is t simply, unquestionably glorious. Watch these bits of test footage, and squirm over how terrible the dialogue is. Next article Will Evolve work in South Africa?